Harry Kane doesn’t score in August, in fact, he has never scored in the first three games of the season, something he’ll look to change this season. Mauricio Pochetino has been under the spotlight for a while for lack of silverware despite how intense his team has been challenging for the title. Newcastle survived relegation last season, they won’t want to go down that route again, Federico Fernandez joined from Swansea at the death but they still did better than Spurs in the just concluded window, Spurs became the first ever team to fail to add a single man to their squad in the summer transfer window. Whatever it was that Rafael Benitez fed the guys in the run-in last term must be repeated because, in all honesty, he has a championship standard squad as he was not backed in the transfer window by the Newcastle executives, a false start here and the struggle will come starring at them in the face. Tottenham must look beyond top four this season despite not signing any player this summer, the stories of stability should be told by the guys that just came into town, not an ever-present Spurs side, new stadium curse could play a part but at least they are on the road first. Tottenham boys shone brightly at the world cup in Russia, that could play a huge part in whatever will happen here, Trippier, Alli, and Kane can’t be as fresh as the rest of the lads, they didn’t let go of any huge star, they should, however, be wary of a likely banana peel. New castle defender Florian Lejeune is out for a long-term after he had a surgery on the knee injury he sustained during preseason. Benitez could select Yoshinori Muto and Salomon Rondon as they are both available to play. Tottenham manager Mauricio Pochettino has said he is considering if his players who played at the World Cup will be in good shape. Juan Foyth, Erik Lamela, Victor Wanyama and Harry Winks are all unavailable due to injuries. Both teams to score as there hasn’t been a goalless draw in this fixture since August 18, 1971. 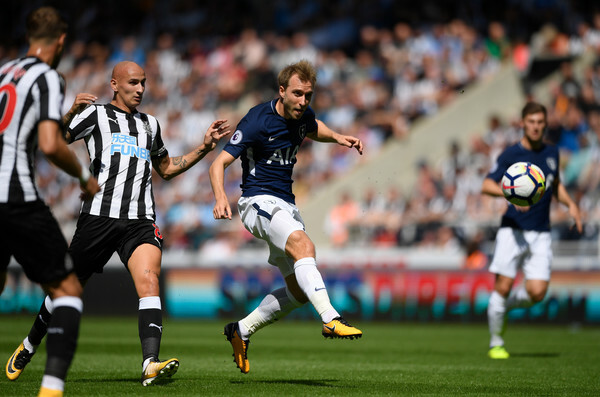 Players to watch: Christian Eriksen (Tottenham Hotspur) and Kenedy (Newcastle).